This incident is just another reason why Ammonia Safety, both PSM & Evacuation Safety Drills are so important and have to be taken seriously every day. If you work in this type of industry, make sure you know your company’s Safety Rules for Ammonia Exposure & Evacuation Procedures and you practice them. Be an involved employee! 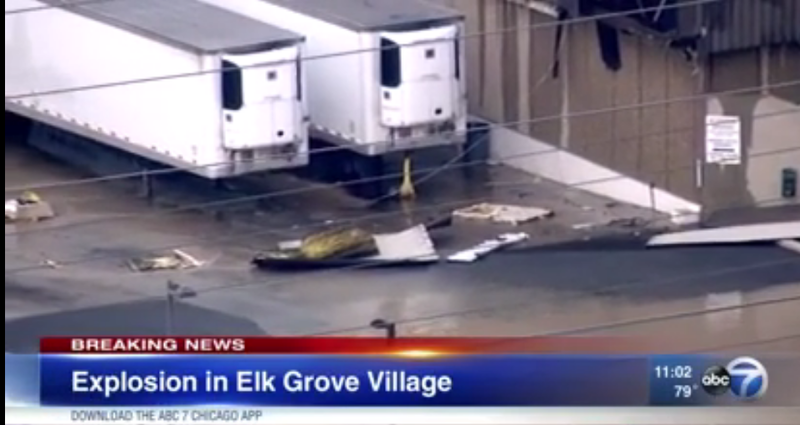 An ammonia leak and powerful explosion blew out the side of a food processing plant in northwest suburban Elk Grove Village Friday morning and left one employee injured. Firefighters, police and a hazardous materials crew responded to Grecian Delight Foods, Inc., in the 1200-block of Tonne Road. Large pieces of the wall on the west side of the building had been blown out. “There was a release of ammonia inside of the factory here. The ammonia reached an ignition source. There’s significant damage to the front wall of the building that’s been blown out, as well as the north side of the building,” Elk Grove Village Fire Chief Richard Mikel said. A neighbor, who did not want to go on camera, said she heard a loud boom just after 7 a.m.
“I looked at my roof, thinking something fell on the roof, but there was nothing up there. Periodically, there is a foul odor coming from that place, in the middle of the night, where I need to close my windows,” she said. Witnesses said they saw around 100 employees run out of the building to escape the flames. They all got out safely. The neighborhood did not have to be evacuated. 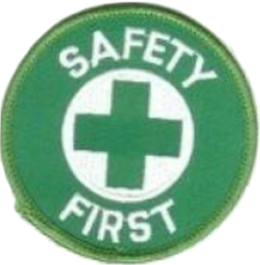 A female worker sustained burns to her face, but her injuries were not considered life-threatening. She was taken to the hospital for treatment. A member of the hazmat team was also taken to the hospital, for exhaustion. The explosion also caused a water main break in the area. Grecian Delight’s parking lot flooded Friday morning. The water main break and ammonia leak were both contained before 11 a.m. The hazmat crew was still on the scene, ventilating the building. Workers had not been allowed back in. Mikel said there was construction going on in the area at the time of the blast, but officials have not confirmed the exact cause of the ammonia leak and explosion. Grecian Delight manufactures Greek and Mediterranean food. The company was founded in 1974.